Dog ear yeast infection is caused by fungus overgrowth. The most common fungus causing canine ear yeast infection is Malessezia. 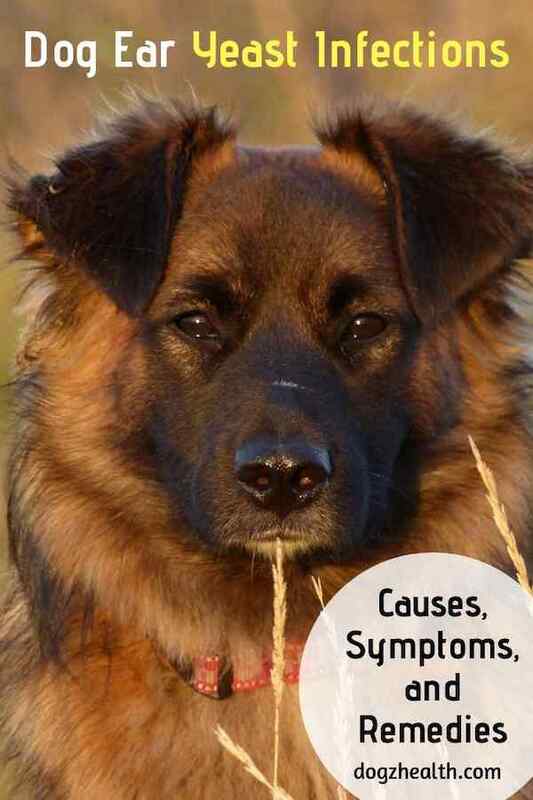 This page looks at the symptoms, causes, and treatment of ear yeast infections in dogs. Canine ear infections can be caused by various things, such as bacteria, mites, and yeast. 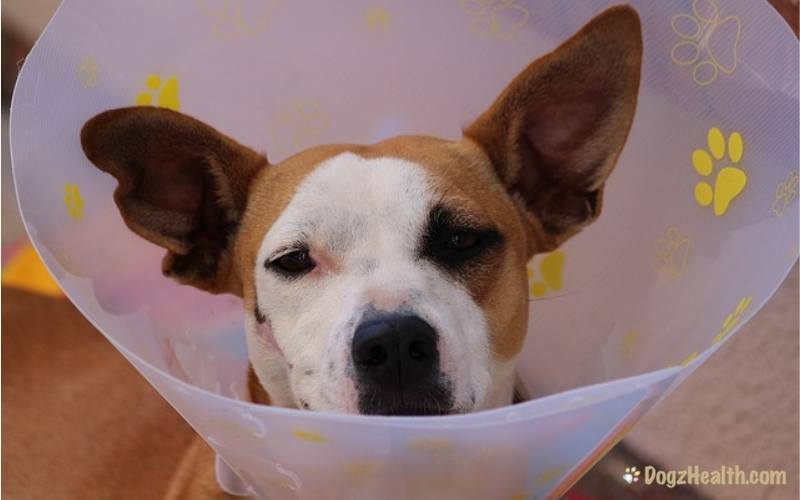 Ear yeast infections are the most common type of ear infections that affect our canine friends. The yeast that causes canine ear yeast infections is typically Malessezia (not Candida which colonizes in the digestive tract). Quite often though, dogs have skin and ear yeast infections concurrently with Candida yeast overgrowth in the digestive tract. Just like Candida, the Malessezia fungus is kept in check by the “friendly” bacteria in the dog’s body. But if the dog has been on antibiotics (e.g. for treatment of a bout of bacterial ear infection), the “friendly” bacteria in the dog’s body will be killed off. This causes the Malessezia fungus to grow and multiply. In this case, an ear yeast infection is a likely side effect of the use of antibiotics. Yeasts are opportunists and they tend to overgrow if your dog’s immune system is compromised. A weakened compromised immune system may be due to poor health and/or unhealthy diet. Therefore, strengthening your dog’s immune system is an essential way to fight off dog ear yeast infections. 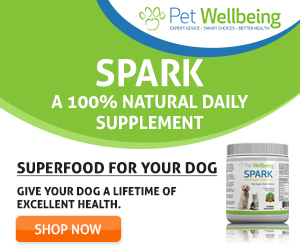 Providing your dog with a healthy diet with supplements is a good start. Make sure also that your dog has constant access to clean water and has a clean living environment. Regular exercises also help boost the immune system. Yeast thrives in moist, dark environments. The ear canal is a perfect environment for yeast to grow, especially if your dog has long, floppy ears. It is therefore extremely important that your dog’s ears are kept clean using a dog ear wash. Allergies such as food and atopic dermatitis can also cause dog ear yeast infection episodes. Because of the allergy, the skin may originally become damaged as the dog scratches the itchy irritations. Damaged skin is susceptible to yeast overgrowth. Dog ear yeast infections tend to persist until the underlying health problem is controlled. If your dog has an ear yeast infection, he will scratch the affected ear incessantly and rub it against furniture or on the floor. There will be a lot of violent head-shaking as well. The affected ear is painful so your dog will tilt his head to the painful side, and cry out if you try to touch the ear. Because of the pain, he may also drool excessively. If you examine your dog’s affected ear, you will notice that the skin is very red, inflamed, and moist with minimal discharge. Or you will also find a brown waxy discharge from the ear with a rancid odor. Conventional treatment of canine yeast infections involves first of all a thorough cleaning of the ear canals. This is followed by applying an antifungal medication to the infected ear. In more serious cases, the dog may need topical and/or oral corticosteroids to reduce inflammation, swelling and the resulting pain. Some dogs may also receive oral antibiotics because very often a dog ear yeast infection is accompanied by a bacterial ear infection. As mentioned above, very often, an underlying problem (such as allergy) causes canine ear yeast infections. Therefore, the vet will also give medications to treat the underlying problem. As corticosteroids and antibiotics can compromise a dog’s immune system even further, it is better to treat an episode of dog ear yeast infection holistically. Try to control the yeast both from the outside and the inside. Topically, you can follow the instructions as outlined in our page on Dog Ear Infection Home Remedies. Internally, you need to pay attention to the diet of your dog. Make sure you feed your dog a low-carbohydrate, high-protein diet. Yeasts strive on sugars, and a high-carbohydrate diet is a perfect diet to promote yeast growth. Therefore, providing a low-carb, grain-free diet to the dog is important. Even if you feed your dog a healthy diet, he may not be able to get the full benefits of the nutrients provided in the diet if he has poor digestion (which is common in dogs with yeast infections). Improving digestion by adding digestive enzymes such as Prozyme Original All-Natural Enzyme Supplement for Dogs and Cats to the food is therefore an extremely important component in controlling yeast. If your dog has a stronger digestive system, it can digest and absorb more nutrients from food. As a result, the immune system will improve. Give your dog supplements of digestive enzymes with each meal. You may even want to double the recommended dosage for the first 2-3 weeks of treatment. If you have a senior dog, you should give him a higher dose of digestive enzymes during the whole course of treatment since older dogs usually cannot produce sufficient digestive enzymes on their own. In addition to digestive enzymes, you should also give your dog a probiotic supplement, such as VetriScience Laboratories Mega Probiotic for Dogs and Cats . Probiotics contain “friendly” bacteria that can keep yeast growth in check. This is particularly important if your dog has been on a course of antibiotics.